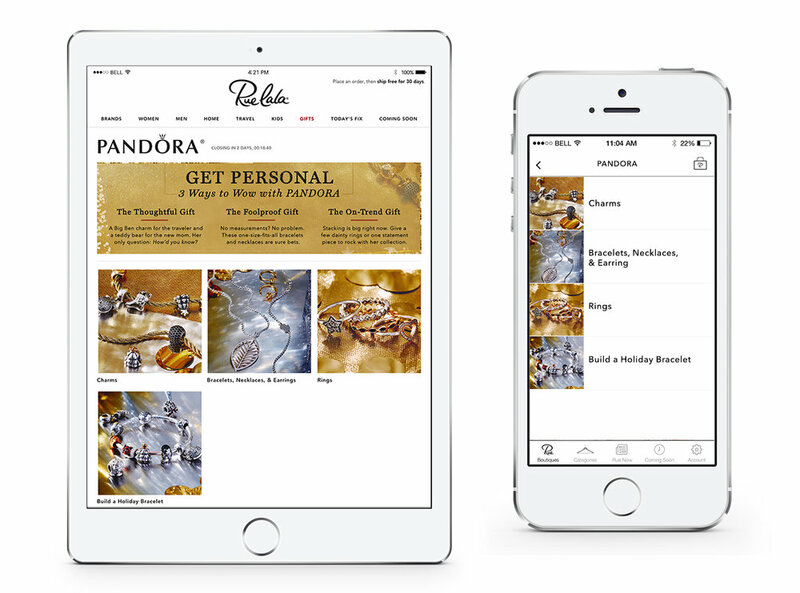 Pandora was selected as the first brand spotlight page to be featured on Rue La la on Black Friday weekend because Pandora's brand message resonated well with the Rue Member. I collaborated with the Senior Art Director to design and concept the layout for this event from start to finish. I had to make sure the design reflected Rue La La's brand standards as well as Pandora since all assets needed to be approved by the brand.